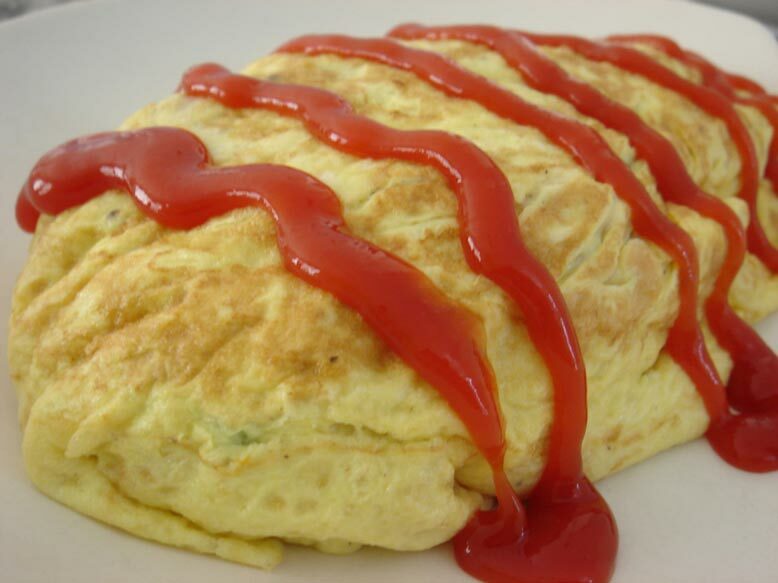 Omurice is one of my favorite Japanese foods to eat for lunch! I remember ordering it all the time at Japanese Restaurants as a child. 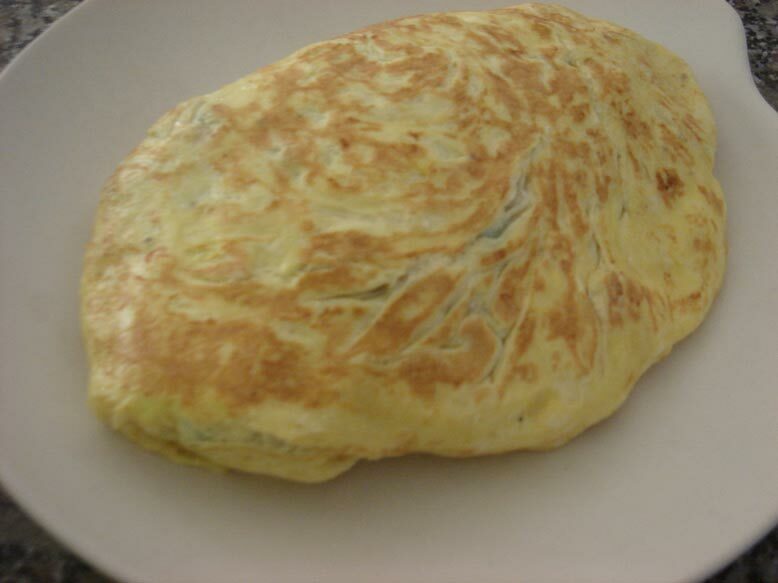 Omelette + Rice = Omurice. 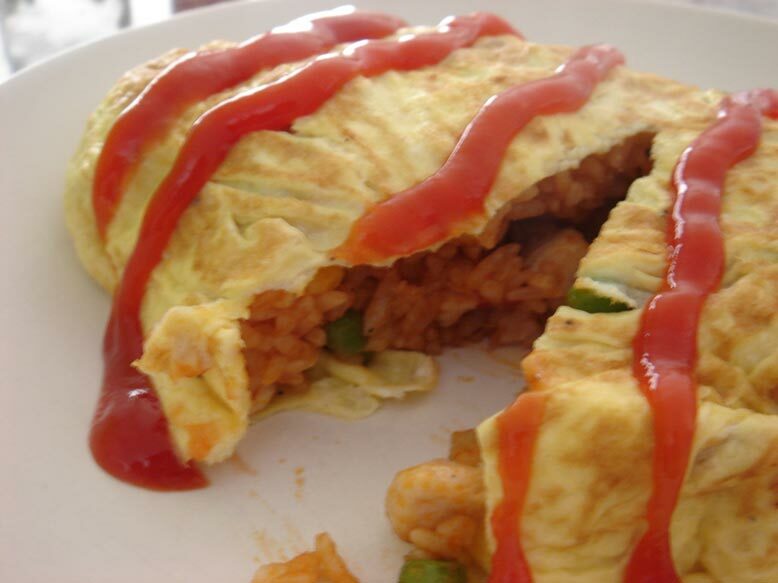 Omurice is a ketchup flavored chicken rice wrapped with fried egg. It’s often decorated with ketchup. 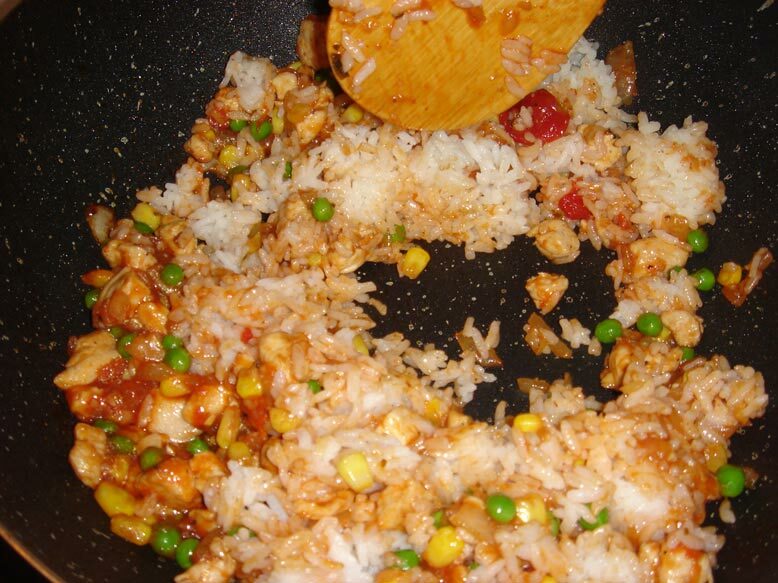 This omurice recipe is very simple to make and great for bentos and children. Beat 3 large eggs and lightly season with salt and pepper. Put aside. 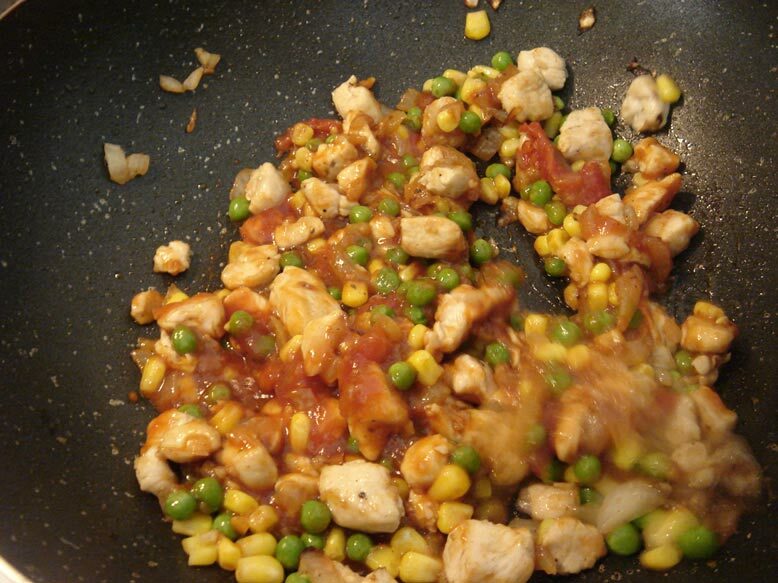 Heat a large pan or wok and add oil. 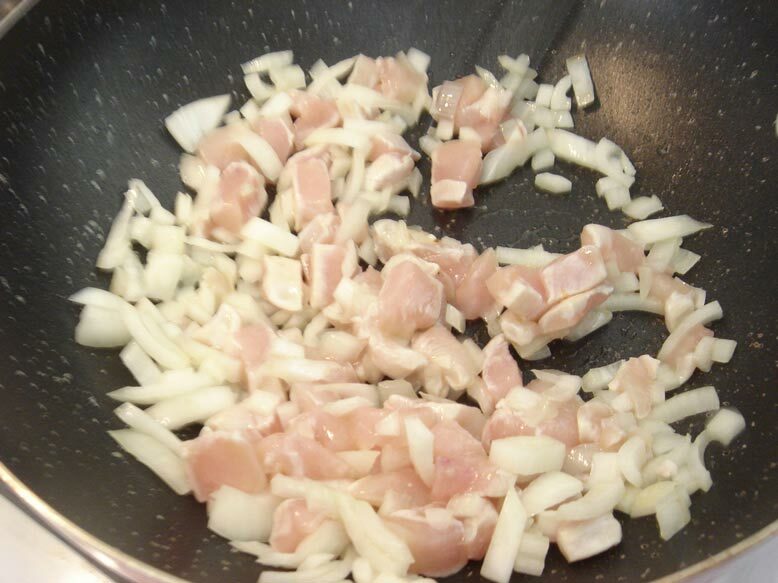 Saute the chicken, onions, and minced garlic at high heat until the chicken is cooked. 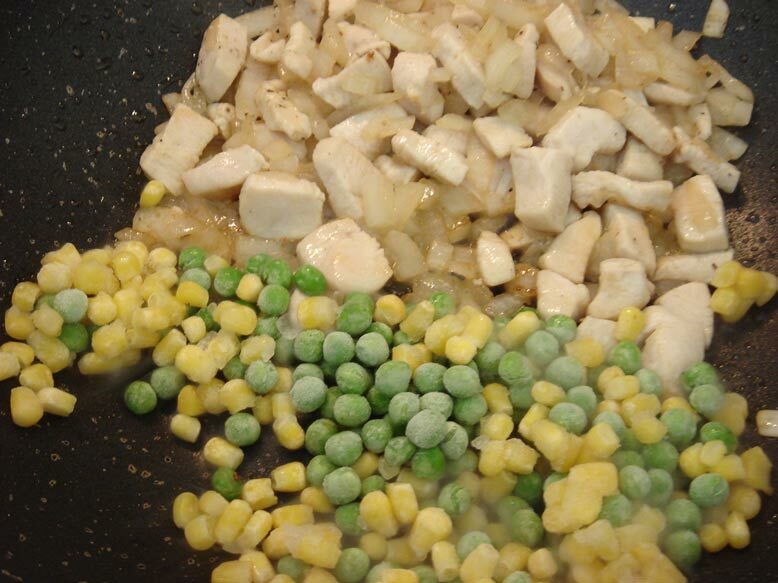 When chicken is cooked, add corn and peas and saute for about 30 seconds. 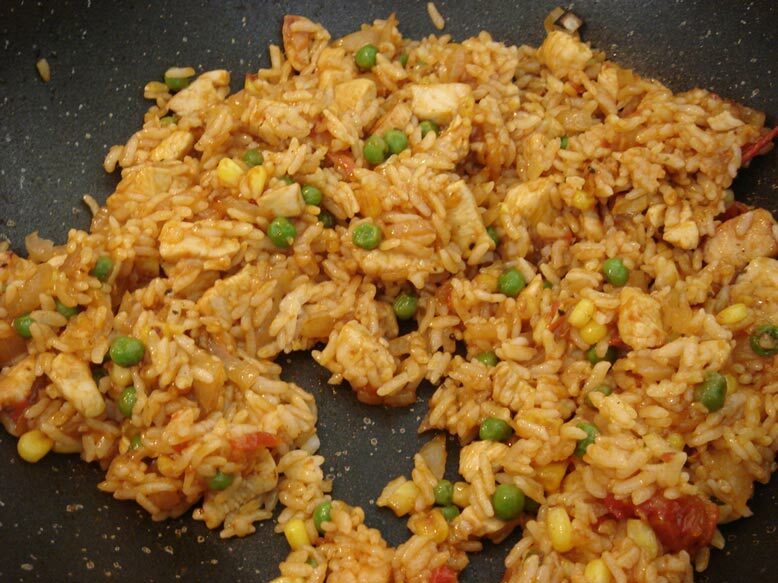 Next, add ketchup and pasta sauce and stir for 1 minute. Add the bowl of rice and stir well. 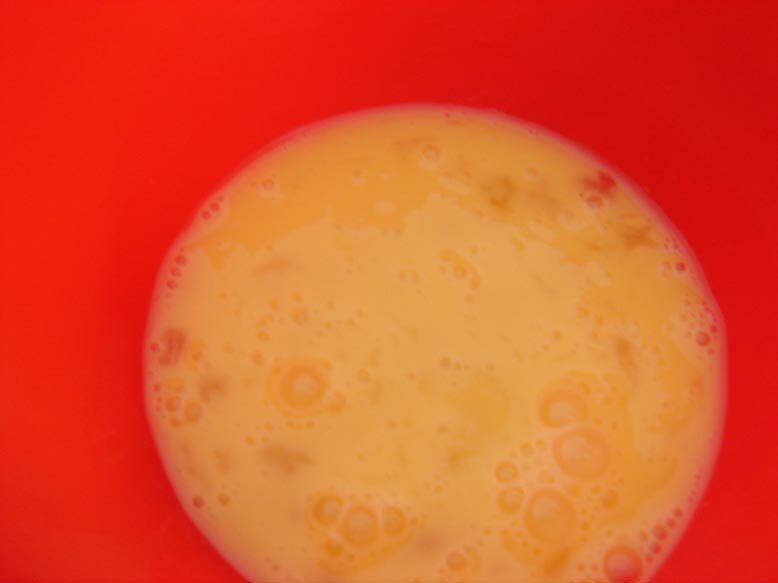 Season with salt to your taste (I added 1/2 teaspoon of salt). Continue stirring for a minute. Now, put the chicken rice aside. Heat pan or wok and coat with cooking spray or oil. Twirl the beaten eggs around the wok (spreading it thinly). 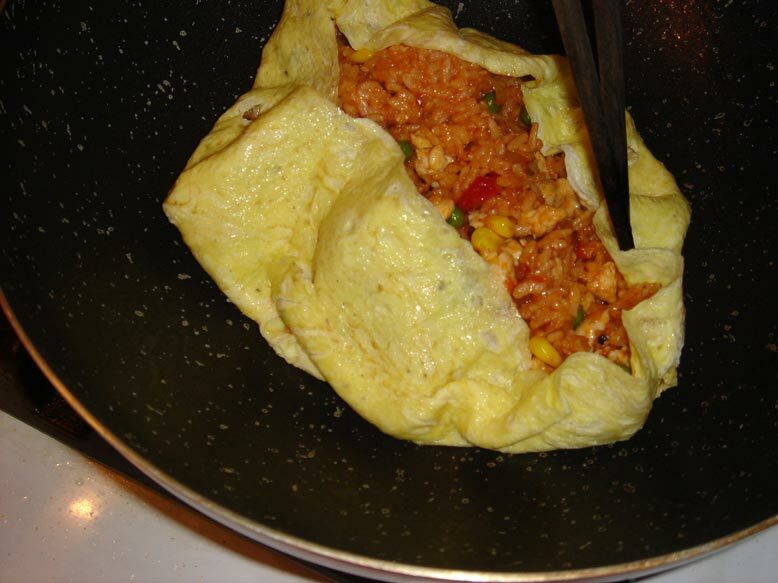 The eggs will be cooked almost instantly.Add the chicken rice to the center and bring the edges of the egg together (the rice doesn’t have to be completely sealed). 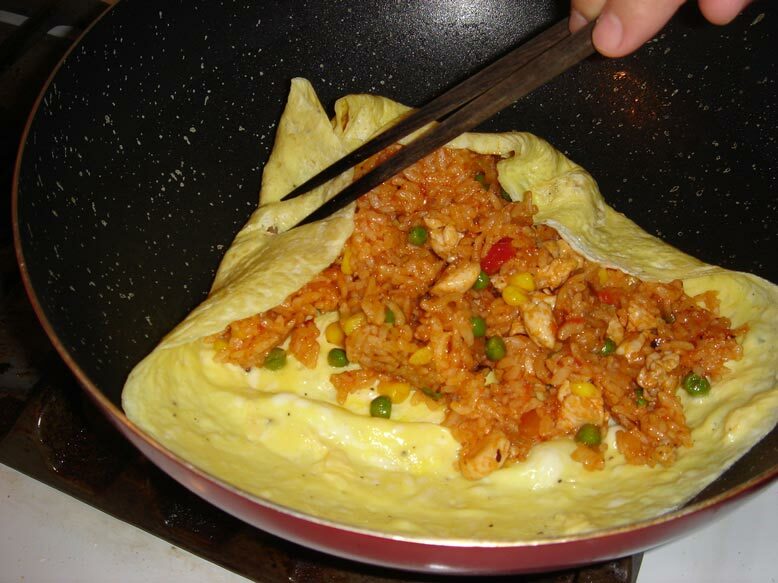 Carefully flip the egg wrapped rice onto a plate. Decorate with ketchup.